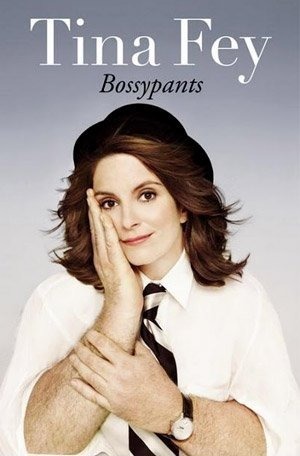 Elizabeth Stamatina "Tina" Fey is an American actress, comedian, writer and producer. She has received seven Emmy Awards, three Golden Globe Awards, four Screen Actors Guild Awards, and four Writers Guild of America Awards. She was singled out as the performer who had the greatest impact on culture and entertainment in 2008 by the Associated Press, who gave her their AP Entertainer of the Year award. After graduating from the University of Virginia in 1992, Fey moved to Chicago to take classes at the improvisational comedy group The Second City, where she became a featured player in 1994. Three years later, Fey became a writer for the sketch comedy show Saturday Night Live (SNL). She was promoted to the position of head writer in 1999. The following year, Fey was added to the cast of SNL. During her time there, she was co-anchor of the show's Weekend Update segment. After leaving SNL in 2006, she created the television series called 30 Rock, a situation comedy loosely based on her experiences at SNL. In the series, Fey portrays the head writer of a fictional sketch comedy series. In 2004, Fey made her film debut as writer and co-star of the teen comedy Mean Girls. In 2008, she starred in the comedy film Baby Mama, alongside Amy Poehler. In 2009, Fey won an Emmy Award for her satirical portrayal of Republican vice presidential candidate Sarah Palin in a guest appearance on SNL.